Growth is usually viewed as a positive step for business owners, but if not managed properly, growth could be the death of your business. If your business grows too fast, or grows the wrong way, you can actually grow yourself out of business. Along with growth comes the costs of additional staff, system development, and changes in operations. Without access to working capital, your business won’t be able to support these essential changes. By tapping into your business’s Accounts Receivable, or outstanding invoices, you can free up existing capital and have access to the immediate cash flow needed for growth. Other assets, such as equipment, inventory, or purchase orders, can be used as collateral to advance capital to your business as well. Both of these options have a fast and easy qualification process that allow for initial funding in just 2-3 days. Unlike traditional lenders, we will not turn you down based on amount of years in business or your credit history. Plus, after initial funding, working capital will arrive in your bank account within just 24 hours of submitting an invoice. 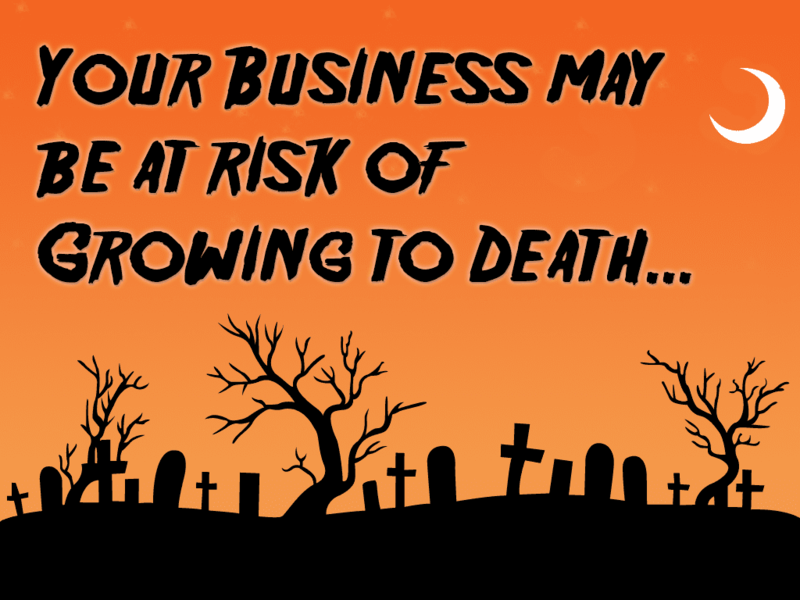 If your business is growing faster than your capital can keep up, don't let it grow to death! Treat yourself today and learn more about your working capital options.